At the Western Cape Provincial leg of the Lilizela Tourism Awards, South of Africa’s 5-star property Abalone Pool Villas, walked away with the award for best 5-star Bed & Breakfast establishment in the province. 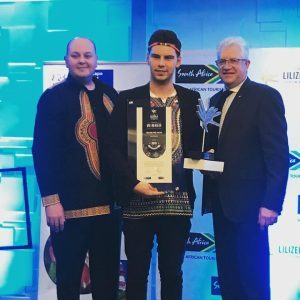 The awards ceremony, which celebrates the province’s star performers, was held in Cape Town on September 19th, 2018. The 5-star Abalone House & Spa, as well as the Abalone Pool Villas, both also received a nomination in the category “Lap of Luxury” and received a certificate as finalists. The national awards ceremony takes place on October 27th at the Sandton Convention Centre in Johannesburg.